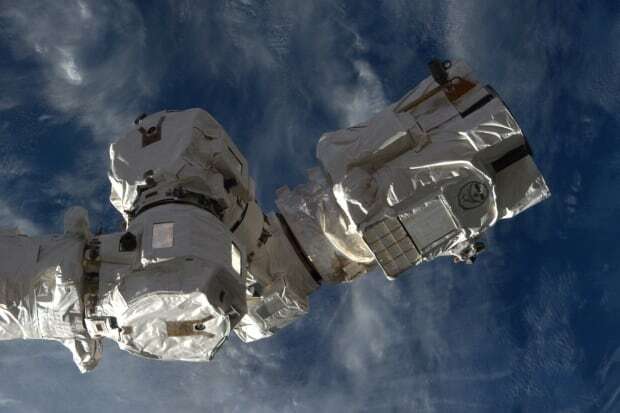 Spacewalking astronauts are giving a hand to the International Space Station’s big robot arm. Vande Hei performed a similar spacewalk last October, when he replaced the first of two original hands on the Canadian-built arm. This second hand will go on the opposite end of the 58-foot arm. The bulky bundle of latches needs to be replaced because of wear and tear. It’s been in orbit, grabbing cargo capsules and performing other chores, since 2001. It’s the first spacewalk for Tingle, who arrived last month.